We continue to be delighted that our little book is helping people make better decisions all over the world. After many requests, we’ve decided to write a sequel. Posted in Business on July 25, 2018 by Jen Lawrence. I am excited to announce that I am now a blogger with The Huffington Post. I will be writing about women and business, diversity, corporate culture and career management. You can find me at http://www.huffingtonpost.ca/jen-lawrence-/ and if you want to fan me over there, that’d be swell! My first article is on returning to the workforce after taking some time away from the corporate world and can be found here. If you are in the listening mood, I have done a couple of radio interviews recently that outline some of the critical thinking basics outlined in Engage the Fox. I adore Superbowl. I love any spectacle that everyone is watching as a collective and I love eating junk food. Plus, roman numerals are the best. So Superbowl is a natural even though instead of the great US commercials, we Canucks get ones for Home Hardware’s Ultimate Spin Mop. 2. When you let others shine, you shine too. So, Katy Perry. Pretty good, huh?The video floor was very cool and the structure that flew her around during Firework was inspired. And yet, Katy knew that when it comes to delighting your audience, it’s best to have a trick in your back pocket. Enter Lenny Kravitz who was good, and then Missy Elliot who shone shone shone. In fact Miss Missy’s Lose Control had a streaming uptick of 1396%. But did we think less of Miss Katy? Nope, we thought more of her. When you surround yourself with great people, you look great too. 3. Be careful with over thinking decisions when emotions run high. Not sure if the Seahawk’s Peter Carroll made the Worst Call Ever, but it sure as heck wasn’t a good one. Seattle was one yard — one yard! — away from a probable Superbowl win, when they decided to pass instead of run in the ball. When stakes are high, it’s important to think critically. Running, especially one yard, is typically a safer strategy than passing. As Darrell Royal pointed out in 1963, “three things can happen to you whenever you throw the football, and two of them are bad. You can catch the ball, you can throw it incomplete, or have it intercepted.” Whoops. Compounding everyone’s feeling that this was a bad call was the fact that the Seahawks failed to use one of their biggest assets. Running back Marshawn Lynch is know as “Beast Mode” for a reason. According to The Guardian (where everyone gets their US football analysis, no? ), he was this good. I’m not a football expert, but if I were running a football team and had a guy nicknamed Beast Mode based on his ability to run in the ball, and I needed to run in the ball to win a really big prize, well, I have to think that I’d take advantage of that. The key takeaway here is when you have experts in house, use them. 5. You never know who your heroes might be. Four years ago, Patriots rookie Malcolm Butler was working at Popeye’s after being kicked out of school, with a not very promising future in football. Last night, he won the Superbowl for the Patriots based on an incredible interception. Let everyone in your company have the chance to be a winner and they just might show you the amazing things they can do. Posted in Critical Thinking on February 2, 2015 by Jen Lawrence. Recently, Canadian Business magazine released its list of Canada’s Top 100 Highest-paid CEOs. As usual, we aren’t exactly tripping over all of the women on the list. We have been talking about getting women into senior roles and getting women onto boards and getting equal pay for work of equal value for years and years and years. So why isn’t it happening? I think it starts with our view of diversity. I’m a pretty smart cookie. I’ve received buckets full of scholarship money to get a fancy MBA. I’ve worked for blue chip companies and I tend to be promoted quickly. And I’m a keener. There is no reason that I should not be working for some major corporation in some highfalutin role. And yet, I’ve rejected corporate life in favour of doing my own thing. I’ve “opted out” and I suspect a lot of other women who might otherwise have been groomed for the c-suite have as well. My decision to leave came down to me getting sick of being asked to be someone I’m not: to be tougher, to be less emotional, to be more motivated by money, to be less concerned about other stakeholders, to dial down the stilettos, and to chop off my hair. And although I did well, playing the game, I found it exhausting. It’s exhausting to bring your best self to work when you’re asked to check parts of that self at the door. For every woman I know who has leaned in and pressed through in spite of all the nonsense, I know many more who have opted to move into a non-business field or raise kids for a while or start their own businesses, because they could no longer stand being stifled. They said to hell with all that and they found out that there is a world out there — outside the corporate kingdom — where not only do you not need to cloak you unique qualities, but you are rewarded for them. Our leaving corporate life matters. And it matters not just in a way that makes it embarrassing for companies when faced with statistics about the compilation of their executive suites and board rooms. It matters because organizations are cheating themselves out of one of their most powerful tools: the diversity of thinking that comes from hiring different types of people. Diversity of thinking prevents organizations from falling into groupthink or making assumptions based on similar biases. Diversity of thinking ensures that better decisions are made and projects are less likely to fail. In order to make great strategic decisions, we need men and women and people of different religions and cultures and political leanings and sexual preferences and economic backgrounds and styles and world-views and philosophies and personality types with eyes on our business. We should not have diversity policies in place because its embarrassing if we don’t. We should have them in place because it makes us better and smarter and more creative and more effective, and better reflects our client base. The trouble is, people tend to hire in their own image. I worked as a recruiter for a number of years and most companies are insistent that the candidate be “a good fit” with their current corporate culture. This approach works if you have a steady business that is as successful as it could possibly be and is not expecting any change in the future. (If this is you, well done. You should stop reading and start on an immediate book and speaking tour. Suggested title – How to Be Build a Totally Successful Business Impermeable to Change, subtitle King of All That…) If you are expecting change (and you should be) or want to do better, however, consider expanding your corporate thinking by hiring people who think differently and bring a whole new perspective to the table. Hopefully what we are seeing on the CEO list is the last of the dinosaurs. Tools like social media have given voice to so many diverse groups that before were silenced. We can not longer pretend that the entire world looks just like us (or should.) Smart corporations will listen to the voices and find ways to capture this diversity in their workforce to give themselves a competitive edge and over time the best of a broader group of people will naturally rise to the top. On Halloween, I went to a party dressed as Black Widow, Scarlett Johannson’s character from the Marvel franchise. I wore a cheap red wig over my blonde hair and boy oh boy were there compliments. Everybody loved the red colour on me: friends, fiancé, and kids. So after much deliberation, yesterday I asked my colourist for Amy Adams red and, by George, I got it. I loved the results. The others in the salon loved the results. My fiancé loved the results. It was bold and better suited my personality than the Book Cover Blonde I’ve been sporting for three decades. But then I picked up my kids from school. In spite of liking the red wig, my daughter was not thrilled with the new look as my hair colour no longer matched hers. My son hated it because I didn’t look like me anymore. People were Not Happy and it got me second guessing the results too. As someone with expertise in change management, I get the theory in spades. People don’t like change. They especially don’t like change that they believe affects them and over which they were not consulted. I’d talked in broad terms about going redder but had not discussed any specific plans with my kids. As my daughter said, “it would be different if I’d known you were going to the salon today.” People like to be informed if there is change on the horizon, no matter how small that change might be. I had underestimated how such a minor change to me (I can always change it back, I figured) might be so major to my kids. My daughter likes it when people point out how similar we look and she feared she might be losing that. My son is big on stability and relies on me looking the same when I pick him up from school as I did when I dropped him off. To me, it was “just hair colour” but to them it was something more. It reminded me of how our local newspaper reacted to the closing of Target Canada. “Oakville store among 133 Target closes in Canada,” the headline read. When I first saw it, it made me chuckle. Well of course the Oakville store is closing: Target is closing all the Canadian stores. It’s not like Target is deliberately targeting (!) Oakville. But Oakville loved its Target store. The mall where the Target is located is renovating based on Target’s presence. Lots of Oakville residents were employed by the chain. So for Oakville, losing our Target store feels personal. It feels like we are somehow being singled out even when we aren’t, and we can only think of the change in terms of how it it feels to us. In my book, Engage the Fox, I talk about the importance of stakeholder involvement at all stages of the decision making process if it is important that the stakeholders embrace the decision. Sometimes involvement is not possible such as in the case of Target (layoffs rarely take into account the feelings of the employees because the ex-employees are no longer stakeholders.) Sometimes involvement is possible such as in the case of my hair. If you need to have stakeholder cooperation in order to make a decision work, those stakeholders need to be engaged from the beginning and feel they are part of the process. This is critical for small decisions as well as for major ones. Had I involved my kids in the process, it would have made the change more fun for them. And when I greeted them in the car, they’d likely have been excited rather than shocked and appalled. I would not have had doubts about my decision based on their reaction. It was a great reminder that even when we understand change theory well, it’s important to put that knowledge to to work in all parts of our lives. That way, we won’t be surprised when people do not react the way we expect them to in decisions both large and small. Certainly Sinek ‘s reaction is not surprising. Current corporate executives and boards have used Friedman’s words to justify the use of dead peasant policies, double Irish tax structures, regular pre-year-end layoffs and other socially toxic tactics as ways to boost the bottom line. Friedman has become synonymous with the idea of profit over people. In his statement, Friedman was simply highlighting agency dilemma rather than making a statement that it’s wrong to do anything right. His words only look horrifying when taken in a post-Enron/Tyco/Goldman Sachs context, when the thought of a corporation so eager to do good that it acts contrary to its own self-interest seems ludicrous. Many employees are stock holders by virtue of their compensation plans and, as such, want to see their company’s stock appreciate in value. What employees object to is when they see business leaders making decisions that act contrary to the interests of customers or employees in order to increase their own bonuses. The objection is not to a focus on shareholder value; the objection is, to borrow from Sinek, leaders eating first. Based on his writings, Friedman would object to any CEO who sacrifices the long term well-being of a company’s key stakeholders in order to line his pockets. Friedman would argue that, no matter what, an executive should act as agent. And therefore if she is making any decision that compromises the long-term sustainability of the company she is not doing her job. Friedman would be just as opposed to executives making poor company decisions for personal gain, as he would be to executives making poor company decisions in the name of social justice. He never would have supported eliminating key jobs, failing to invest in people, allowing morale to sink, treating clients as unwitting counter parties, and hiding poor financial results, as these practices are never good for company sustainability. Of course, in practice the doctrine of social responsibility is frequently a cloak for actions that are justified on other grounds rather than a reason for those actions. To illustrate, it may well be in the long run interest of a corporation that is a major employer in a small community to devote resources to providing amenities to that community or to improving its government. That may make it easier to attract desirable employees, it may reduce the wage bill or lessen losses from pilferage and sabotage or have other worthwhile effects. Sinek simply needed to point out is that, as human beings, we are always principals, even when we supposed to be acting as agents. The only path to long-term corporate survival is for leaders to align our principal and agent selves and work within our human limitations. Posted in Leadership on January 7, 2015 by Jen Lawrence. I’m a huge fan of quotations. When writing an essay or addressing a group, it’s lovely to be able to pull out a couple of sentences by someone famous that neatly summarize the situation. The trouble is a lot of the well known quotations that routinely get slapped on coffee mugs and fridge magnets are wrong. Well, perhaps wrong is not the right word — someone must have said that clever line, after all — but rarely was it uttered so succinctly by Churchill, Lincoln or Ghandi. This practice of is mis-attributed quotes is so widespread that I’ve stopped using quotes unless I can find the primary source. It’s a great quote, right? “A woman is like a tea bag – you never know how strong she is until she gets in hot water.” It sounds like a thing Roosevelt might have said in her book of sage advice, You Learn By Living. She might have said it, but she never did. Quote Investigator, a website run by Dr. Garson O’Toole, tracks down the origins of these rogue quotes, including the teabag one, in a way that is absolutely fascinating. The first records indicated that the quote was an Irish proverb dating from around 1860. There is a record of a reader of the Los Angeles Times sending that quote to the paper in 1961. Both Dorothy Elston and Phyllis Schlafly used the quote in political speeches in the 1960s. In the 1990s, the quote began to be attributed to Eleanor Roosevelt and this notion was popularized when Hilary Rodham Clinton reportedly started to use it as an example of Roosevelt’s wise words. Most quotes seem to be misattributed through a similar form of “broken telephone” over time but there are some general patterns in how these misquotes evolve that reveal something about human behaviour. One of my favourite quotes is “Well-behaved women seldom make history.” I’ve seen it attributed to Marilyn Monroe, May West, and Eleanor Roosevelt. It was really written by Laurel Thatcher Ulrich. Now Laurel is not exactly a slouch and is, I hope, the most famous person in her neighbourhood. Among her list of accomplishments are she is a Harvard professor and Pulitzer-prize winning author of A Midwife’s Tale. But apparently she’s not quite enough of a household name to be featured on a fridge magnet (the ultimate high-water mark!) There is some sort of innate desire to believe that the people we elevate to fame are capable of speaking wise, universal truths. Heaven knows what things history will attribute to Kim Kardashian. Often we think of famous people as wiser than they are and this can translate to the boardroom where we tend to lend more weight to the words of the senior people at the table. Any gift shop worth its salt will have a little motivational plaque or tote bag featuring Gandhi’s inspirational quote: “Be the change you wish to see in the world.” Unfortunately, Gandhi never said this. Elephant Journal tracked down the origins of this misquote. Apparently, Ghandi said something similar to the quote, but rather less bumper-sticker friendly: “If we could change ourselves, the tendencies in the world would also change. As a man changes his own nature, so does the attitude of the world change towards him. … We need not wait to see what others do.” We want our heroes to be perfect and when they are not perfect enough, we just edit them into the form we want (this is the same phenomenon that let guys like Bill Cosby get away with acting badly for years, I suspect.) It’s kind of depressing that the world does not consider Gandhi to be Gandhi enough. It creates a lot of pressure for the rest of us! In some cases, the great figure being quoted did not say the great thing at all. Megan McArdle tracked down the origins of a Martin Luther King Jr. quote for her piece in The Atlantic. McArdle explained why we might want to put other people’s words in the mouths of our recognized heroes: “We become invested in these quotes because they say something important about us–and they let us feel that those emotions were shared by great figures in history.” We need to feel part of something great and if it’s not quite great enough, we embellish. Once you say a few things well, people will give you credit for more. Every once in a while a book comes along that speaks to me on all levels: business, personal, and — dare I say it? — spiritual. 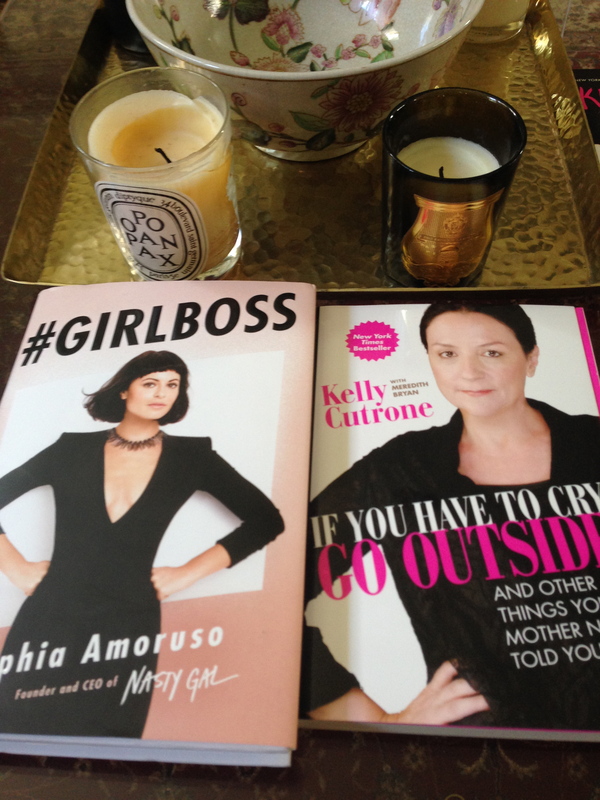 Kelly Cutrone’s If You Have to Cry, Go Outside was one such book. 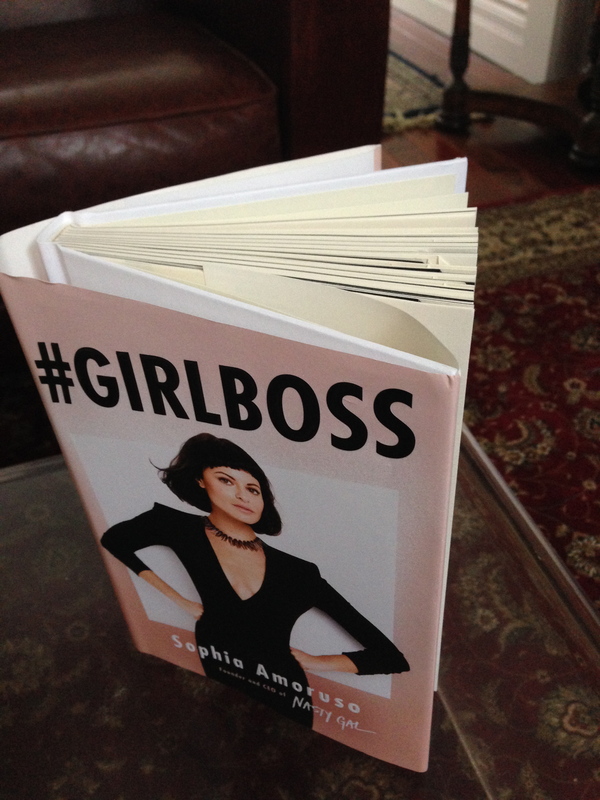 Nasty Gal’s Sophia Amoruso’s #GIRLBOSS is another. In some ways, Cutrone’s and Amoruso’s books are similar. Both women were fashion outsiders turned insiders: one is a fashion publicist who runs her own firm and the other runs the online retail business she created. Both women use the “I’m in charge”, hands-on-hip stance on their book covers and they both seem to favour the rocker-chic look. Neither woman has a typical business background and became successful through intelligence, crazy hard work, good instincts and moxy. Cutrone was born in 1965. Amoruso was born in 1984. I’m a 70s baby, wedged neatly between the two. I read Cutrone as a wiser, older sister, letting you in on the secrets of life. Amoruso – pre-kids, pre-wrinkles – is the wild-child baby cousin who is absolutely fearless. Her book reads like a giant kick in the rear, which we all need from time to time. I still read physical books and I dog-ear the pages I like. This is what the book looked like when I finished reading it and, yes, it was that good. Here were some of the standout quotes for me. How true is this? I’m not a big fan of the fail fast movement because, except in areas like industrial design where you need to throw a lot of things against the wall to see what sticks, failure should not be too easily embraced. But I do believe that failures can often be salvaged and always present learning opportunities. The key thing is to learn from one’s failures and not repeat them. Now isn’t this a surprising statement from an online retail queen? But it’s true, in business and in life. Having money gives you choices. By building up a war chest of cash in the bank and taking on no debt in Nasty Gal’s early days, Amoruso had a lot of flexibility. She was able to choose her investors, choose the timing of investments, and grow the company as she wished. So many companies (and people!) are eager to find investors, take out loans, or go public based on the lure of Other People’s Money. As a former banker, I can tell you that Other People’s Money comes along with other people’s terms and conditions and you do not want a less-than-ideal covenant structure or demands from shareholders limiting what you can do. When you own the bus, you get to drive the bus. Each time you make a good decision or do something nice or take care of yourself; each time you show up to work and work hard and do your best at everything you can do, you’re planting seeds for a life that you can only hope grows beyond your wildest dreams. Amoruso believes in magical thinking. No, she does not think that by putting a picture of a car on your wall, the car will manifest itself, but she does think that with a vision, a positive attitude and — here’s the key — lots of hard work, you can make magic happen in your own life and business. I tend to agree. In business, a disproportionate amount of importance is placed on the ability to network. Yes! Like Amoruso, and about 50% of the population, I am an introvert. (The common notion is that only 30% of the population are introverts as this statistic seems truer than the reality, based on our more quiet nature!) 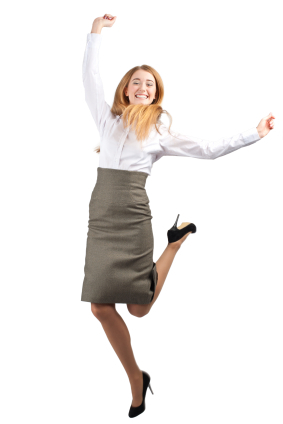 Extroverts have shinier skills such as the ability to build a large network and create a pipeline of potential clients. Also, they tend to talk about their accomplishments. But, as Amoruso points out, introverts have valuable skills as well and a successful organization makes sure they are not overlooked. Introverts are often great at deepening client relationships and building loyalty. As Amoruso discusses in the book, both types of people are needed for an organization to succeed. You can be entrepreneurial without being an entrepreneur. Absolutely. If you treat the company for which you work as your own company and are willing to work hard, safeguard the assets, and take calculated risks, you’ll do better and have more fun on the job. What no one seems to talk about is that business is creative. Amoruso argues that any job can be creative. You can use creativity to arrive at a new algorithm for a software program. You can use creativity to choose the auditing company that will best support your business’s stage of growth. You can be creative in choosing how to finance your company. Don’t let the designers and marketing people have all the fun. If you are looking for a fresh voice giving out some good advice for business and life, Sophia Amoruso’s #GIRLBOSS is well worth your time. Posted in Book Reviews on November 18, 2014 by Jen Lawrence. So, do you want to live your life like a boss, calling the shots and living on top? Consider living life like a boss. We’ve taken six top tips from the business world that can improve your personal life too. Break things down into smaller steps. Having a great vision is only the first step. If Starbucks simply directed its employees to “inspire and nurture the human spirit” and left it at that, it’s doubtful anyone would have mastered the art of the half-caf vanilla latte. You need to figure out realistic steps to move you toward your dreams. Want to go back to school to get a master’s degree? How are you going to save the money to do that? Can you get your company to support you earning your degree on a part-time basis? Can you save up and then take a sabbatical from work? Perhaps you want to sail around the world. Can you get a job as crew on someone’s boat? Would you be content to forgo lattes and designer shoes for a decade to finance a one-year sailing holiday? Almost anything is possible if you are willing to do all of the small steps required. It’s like eating the proverbial elephant: Do it one bite at a time. Recognize your strengths. Companies that are successful focus on what they do best. Walmart manages the supply chain to drive lower prices. Apple creates beautiful devices that are easy to use. Disney owns creative storytelling. What do you do best? What key strengths are identified in your performance reviews? Are you a great communicator? Are you a whiz with numbers? What nice things do people write in your birthday cards? Are you charming? Does your openness and honesty draw people in? The key to success lies in identifying what you are good at doing and doing that a lot. In the movie Love Actually, character Colin Frissell knows that his key to success with women hinges on American women finding his English accent charming: “Stateside I am Prince William without the weird family.” His friends think he’s crazy to move to the U.S., but he knows to play to his strengths. Enlist help. In the Reese Witherspoon movie How Do You Know, Tony Shalhoub’s character reveals the secret to life: “Figure out what you want, and learn how to ask for it.” Rarely can we get everything we want on our own. Successful business leaders are masters at enlisting other people to help them work toward their goals. You can do the same in your personal life. If you want to start your own business, ask a successful entrepreneur if they’d consider mentoring you. If you want to be a better parent, ask someone with functional adult children the secret to their success. Mentors do not have to be formal. As Net-a-Porter’s Natalie Massenet revealed to Financial Times, “I don’t have a mentor in the strict definition. I take as much advice and inspiration as I can from the people I am close to. Sometimes, though, I ask myself: “How would Audrey Hepburn handle this?” The world is full of people who can help you if you are brave enough to ask. Take stock. Companies are very good at determining how well they are achieving their goals. Sales figures are compared to monthly targets, inventory is counted seasonally, employee performance is reviewed annually, and financial results are reported and analyzed quarterly. It makes sense to take regular stock of your personal progress too. Perhaps you said you’d write a book by age 40. If you have only a fuzzy recollection of your 38th birthday, perhaps you need to get writing. Maybe you wanted to travel a lot, and have yet to apply for a passport. Often it seems like the big things you want to do are pushed aside by all of those little things you have to do: taxes, grocery shopping, returning online shopping mistakes to the post office. In Think Like Zuck, Ekaterina Walter writes that Facebook founder Mark Zuckerberg regularly asks himself “Am I doing the most important thing I could be doing?” Why not ask yourself the same thing? Are you spending most of your time and energy working on fulfilling your vision? If not, why not? Focus on the next play. LinkedIn CEO Jeff Weiner has adopted a “Next Play” philosophy for his company based on the practice of Duke Blue Devils coach Mike Krzyzewski. Krzyzewski would routinely shout the phrase during games as a reminder that the next play is always more important than the last one. At LinkedIn, Weiner does not want employees to rest on past successes, or be paralyzed by their mistakes. This approach works equally well outside the office. Got a promotion? Fabulous! Go for celebratory drinks with the gang and then get down to work. Got dumped by a total jerk? Shake it off, as Taylor Swift would counsel. The great thing about life is you can’t be fired or cut from the team. There is always a next play. Posted in Live Like a Boss on November 17, 2014 by Jen Lawrence. Learn the critical thinking process that has helped our clients and students solve problems, make better decisions, and engage their teams in the readable story in novel form.